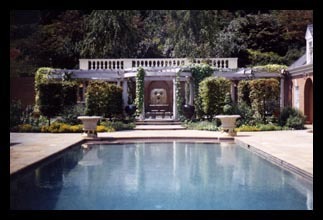 Swimming pools can provide a peaceful respite or be center court for family fun. 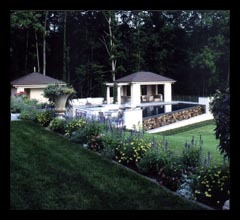 We listen carefully to our clients' visions and plan a pool that works well with the existing landscape. 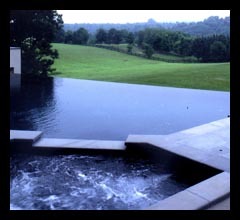 Whether it is a simple rectangular "reflecting" pool surrounded by grass, a daring disappearing edge, or playful water jets, we endeavor to create a setting that pleases the client and guests alike. 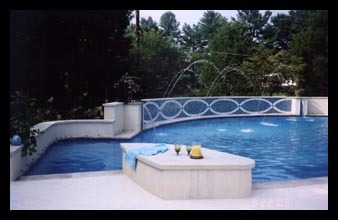 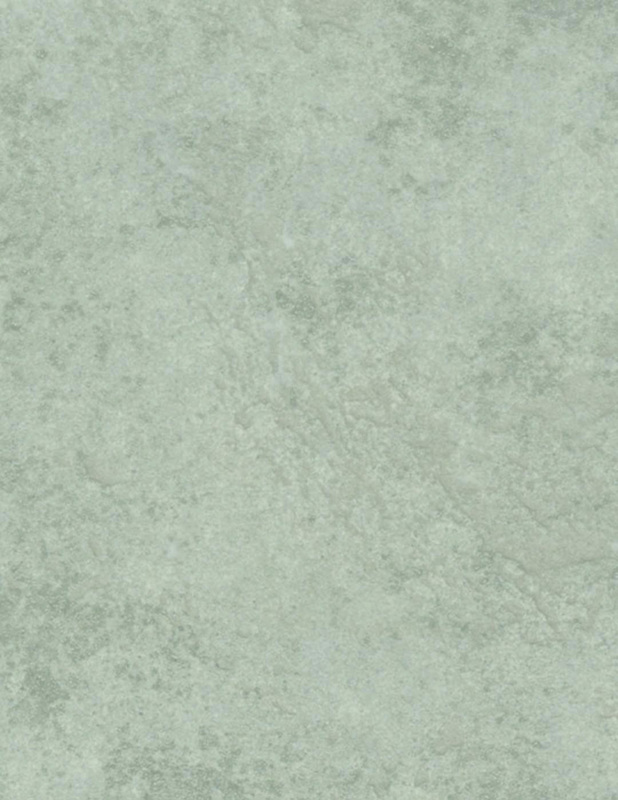 With careful attention to materials, tile selection, and practical matters such as locating pool equipment out of view and hearing, the swimming pool can become a place of memorable gatherings for years to come.